It doesn’t take long for debt to creep up on you, does it? Even those who routinely pay their bills on time can find themselves in a lot of debt thanks to one serious medical problem or an unanticipated layoff from work. You’ve tried to pay off your responsibilities, but the notices keep getting later and the collectors are calling at seemingly every hour of the day. Could a FREE, no obligation consultation with a Chapter 7 bankruptcy attorney from Clarksville help you today? Find out by contacting us right now! 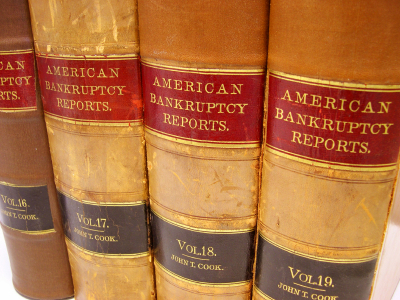 Why Choose a Chapter 7 Bankruptcy? The Chapter 7 bankruptcy is the most effective financial tool there is to eliminate debt quickly and effectively. It won’t affect some debts, most notably Federal student loans, except in very rare circumstances, but it will stop those collectors from calling. For a very reasonable fee, a Clarksville attorney can help you go through your assets, determine any items that may be put at risk for the bankruptcy filing, and then petition the court on your behalf. higher interest rates if new credit lines are approved. For those who struggle to sleep at night because of their debt, however, the benefits of a bankruptcy outweigh any of the consequences that they may encounter. If you have a lot of unsecured debt and are struggling to make your minimum monthly payments, then it’s time to speak with a local Clarksville attorney who can help you navigate through the bankruptcy process. 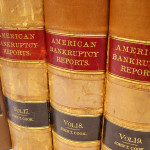 Hire A Chapter 7 Bankruptcy Attorney Today! When you file for a Chapter 7 bankruptcy, the entire picture of your net worth will be examined. This means your mortgage will be looked at, the vehicles you own or make payments on, and even your personal possessions. There are many exemptions that can be made from the bankruptcy and that’s where a local Clarksville attorney can be of benefit. Contact us today to start the process with a FREE, no obligation consultation about your unique financial situation to see if filing for a Chapter 7 bankruptcy is the right choice for you to make. Request a Free Initial Consultation Online or Call Our Offices to schedule your same day in person meeting with an experienced bankruptcy attorney.